Our solid-grade laminate offers a tough, attractive and high-quality system for creating toilet and shower cubicles in washrooms, and can be made to measure in a wide range of colours. Our solid-grade laminate is especially suitable in wet environments where high standards of hygiene must be maintained; for example, in hospitals, medical centres, sports & leisure centres, and swimming pools and ice rinks. 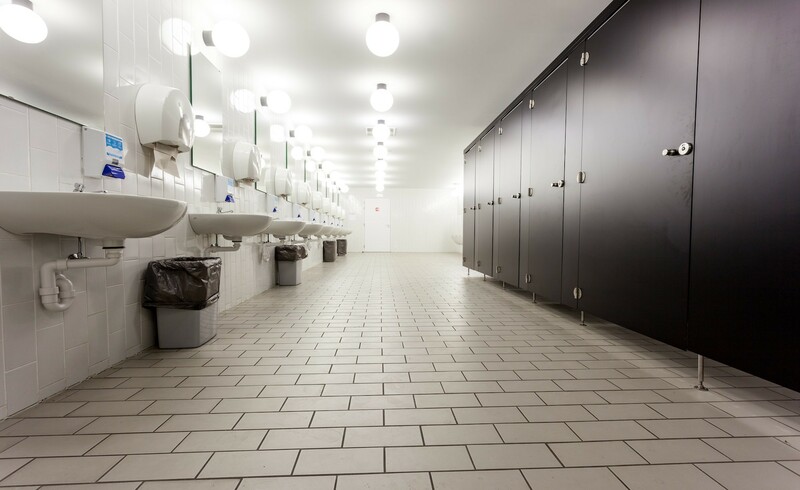 This range is also popular in high-traffic locations which are prone to vandalism, such as schools, hospitals, camp-sites, and motorway services washrooms. The panels are manufactured using phenolic resin; they are impervious to water and extremely resistant to sunlight, chemicals and heavy use/vandalism. All panel edges are machine-finished for an attractive profiled result. 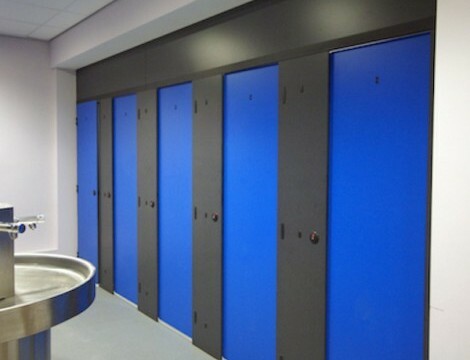 The system is complimented by attractive and robust aluminium cubicle hardware which can be specified in both satin anodised aluminium (SAA) and powder-coated finishes. We also offer vanity units and IPS panels to complement our solid-grade laminate toilet and shower cubicles for washrooms.